Carpal tunnel syndrome (CTS) is an injury caused by a pinched nerve in the wrist, resulting in pain and numbness in the index and middle fingers and weakness of the thumb. The carpal tunnel receives its name from the eight bones in the wrist, called carpals, which form a "tunnel" through which the nerve leading to the hand extends. Onsite Wellness Check Doctors perform a very simple test to determine CTS, as well as palpate the 8 individual bones in the wrist for adhesions and non-movement. Adjustments or Manipulations of these bones (carpals) create freedom, and pain relief. Women are more likely than men to develop CTS. It most commonly occurs in people between the ages of 40 and 60. 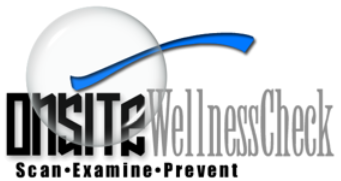 CTS is associated with health conditions such as Lyme disease, rubella, pregnancy, and menopause. High caffeine, tobacco, or alcohol intake are contributing risk factors. One of the best non-surgical treatments of Carpal Tunnel Syndrome is with Chiropractic Adjustments. Click Here to see a recent article about it.